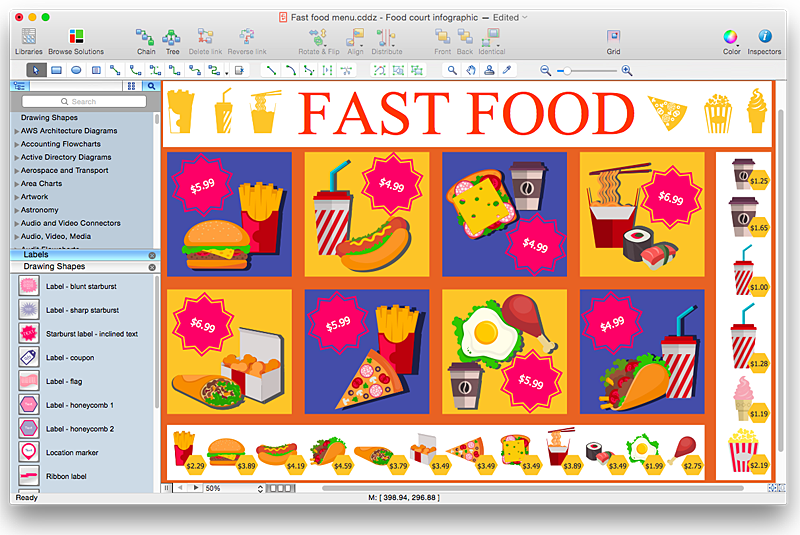 The vector stencils library "Fast food" contains 16 food and beverages clipart. 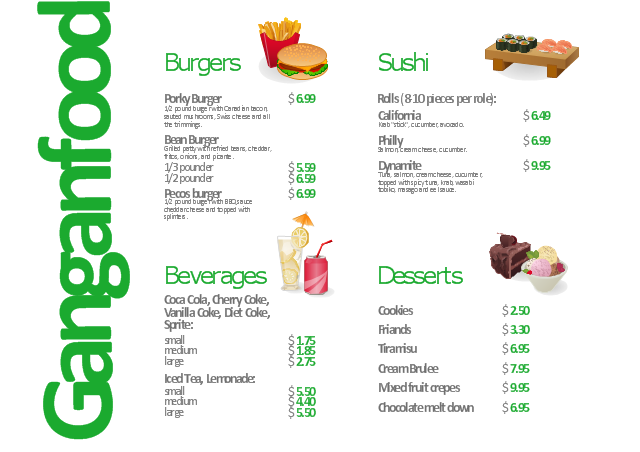 Use this icon set to design your food court illustrations, restaurant menu and diet infographics using ConceptDraw PRO diagramming and vector drawing software. 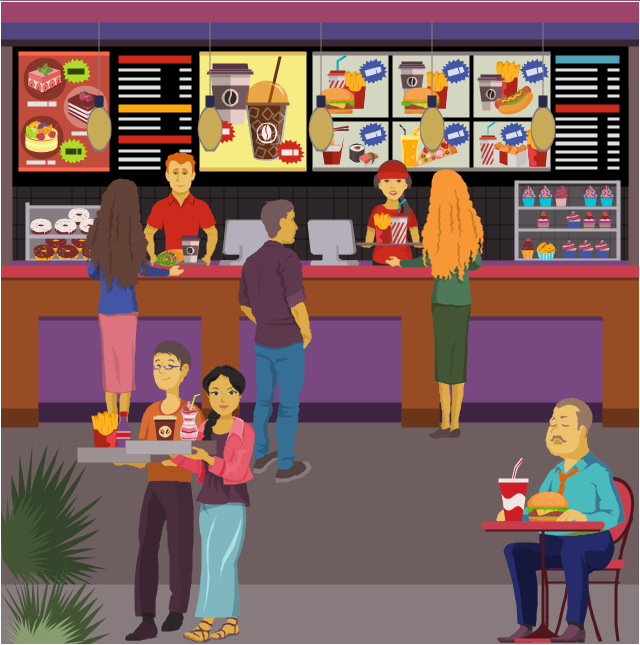 This example shows fast food bar: customers paying and taking their orders at the counter, cashiers at the cash registers, menu boards over the counter, man and woman carrying their trays with food and beverages, man sitting at the table and eating his meal. 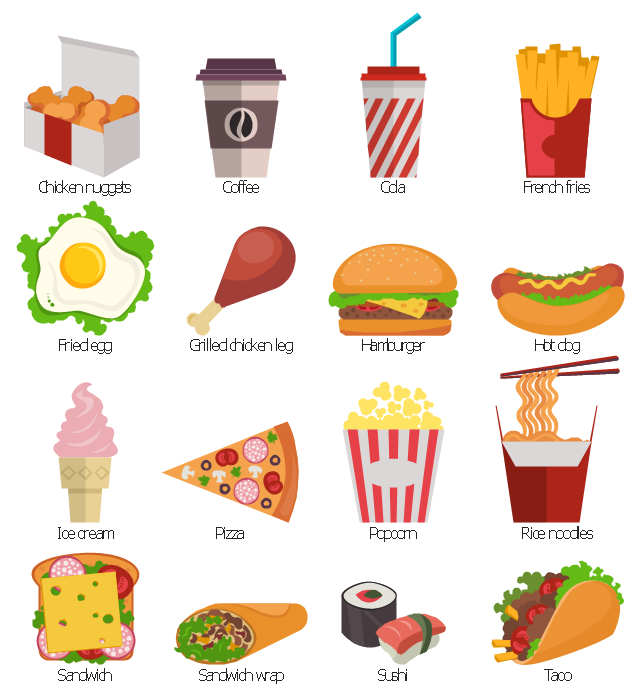 Use the vector clipart library Food to draw illustrations on meal and drink, food and beverage, diet, cuisine, cooking, healty nutrition, fast food. 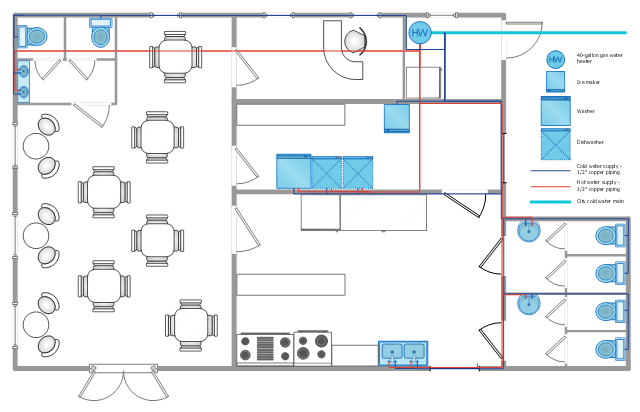 This plumbing and piping plan sample shows the restaurant hot and cold water supply system.